Here’s a peek at one of my cover layout concepts for Empire magazine. It’s great fun coming up with cover ideas for them to base their shoots, etc., on. 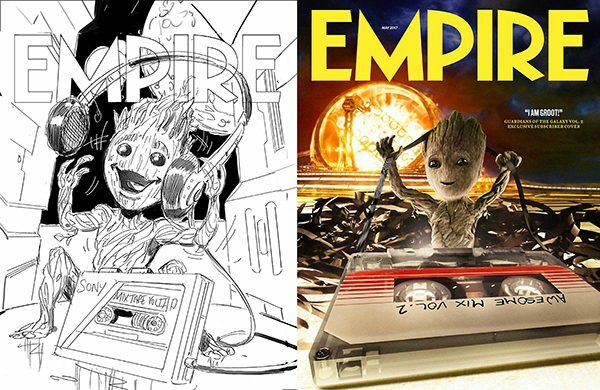 This one is out now and is the subscription cover starring Groot from the Guardians of the Galaxy.